I found these GREAT, TINY baskets the other day and I just couldn't resist!! 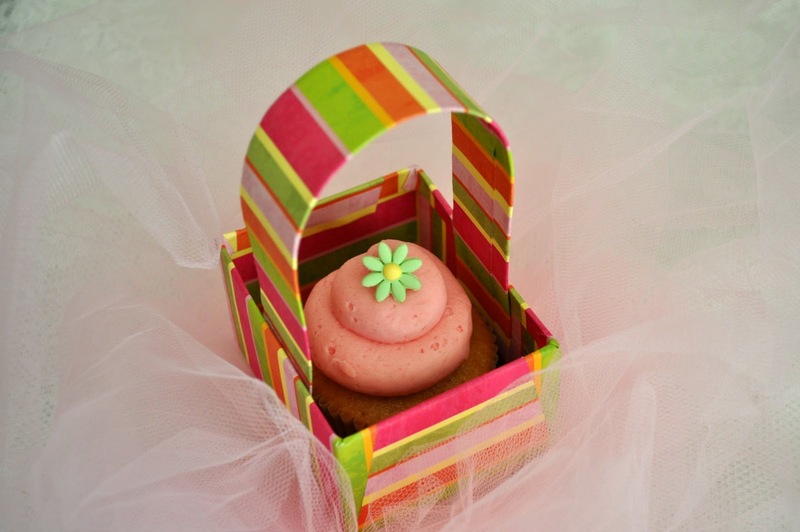 I know they are EASTER baskets meant for Easter eggs and the likes, but why not a CUPCAKE! It would make such a wonderful PARTY FAVOR! There are also other colors and patterns available that just scream SPRING!! 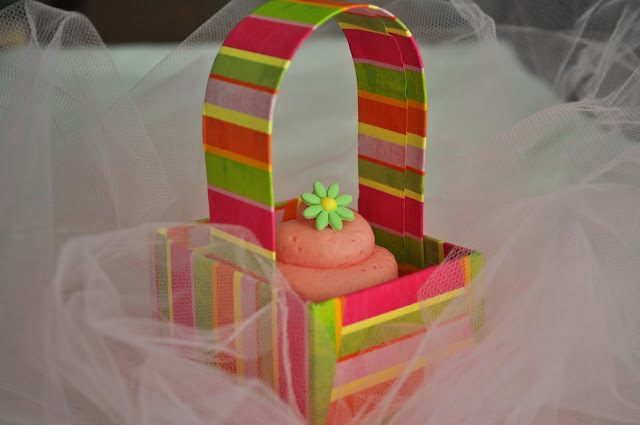 I used pink frosting on this one because that's what I had at the moment, but I think I would prefer plain white, lime green or yellow for this particular basket. This is a Flickr badge showing public photos and videos from Sonia's Cupcakes Athens. Make your own badge here.